Having adequate prescription drug coverage is important, and understanding the Florida prescription drug health insurance plans will help you decide how to meet your needs. According to a report released by the Federal Government, prescription drug costs have gone up 15-18% in the last year alone. The more drugs there are that are developed and approved by the FDA, the more Americans there are that become dependent on these drugs. Since there are so many different prescription drugs available, doctors and clinics prescribe drugs as a first line of defense instead of trying other methods. Because of this, being without prescription drug coverage can be financially disastrous. Whether you need a regular daily prescription or need to fill a prescription when you or a family member is ill, you must find adequate coverage. Here are some options that will help you know what Florida prescription drug health insurance plans are available and what to do if you don’t have prescription coverage. Your first option is to get prescription coverage through your regular health insurance plan. If you have a plan through an employer, the plan will most likely cover prescription drugs. There may be a co-pay, but that amount is significantly less than paying for an entire prescription. If you are on a plan such as a high deductible plan, major medical, or comprehensive coverage plan, make sure you understand what coverage is available to you. Ask your insurance liaison at work or contact the company directly to get the information you need. If you have a plan and don’t have coverage, ask what you can do to obtain coverage through the plan. Even if it adds to your monthly premium, it will still be less than paying for prescriptions out of pocket. Some employment based plans are set in stone and can’t be added to, but many insurance companies are willing to work with individuals to add plan features that customers need. If you don’t get insurance through your employer because you have an individual plan, you can obtain prescription drug coverage. One of the best parts of having an individual plan is the flexibility to customize the plan to fit your needs. You know what medical needs and situations most often arise in your family due to age, health history, etc. If you have an individual plan that you pay for yourself, adding prescription drug coverage is easy. As with employment based plans this may raise your monthly premium. But consider this: the average cost to fill a prescription for a month is $54.00. Some prescriptions cost more, some less depending on what type of medication the prescription is for. This is $648 a year. This amount is just for one prescription for one person. If you have a family or need multiple prescriptions filled within a year’s time, this can really add up. Adding prescription coverage to your medical plan is a wise decision for almost everyone. For those under the age of 65 who meet eligibility requirements, Medicaid can provide prescription drug coverage. Medicaid is a federal health insurance program that is run individually by each state. Florida has its own requirements and eligibility criteria that must be met. Medicaid is designed for low income individuals and families or those who temporarily find themselves without work or health insurance coverage. Depending on your income level and family size, you may have a co-pay when you get a prescription. But most people qualify for free prescription coverage through Medicaid. You can apply on-line or through a local Medicaid office located in the county you live in. Even if you are in a temporary situation, this coverage can help to fill the gap until you find employment or can afford a health insurance plan that includes prescription drug coverage. If you are 65 or older, you can get prescription drug coverage through Medicare. Medicare is a federally run health insurance program for the elderly and retired over the age of 64. Medicare Part D is the prescription drug plan that is administered by individual insurance companies and monitored by the government. There are many options available depending on where you live in the state. Different plans vary in what prescriptions are covered, the co-pay amount, and what pharmacies can be used. There is typically a deductible in the range of $200-275 per year. This is much less than the amount you would pay out of pocket with no prescription coverage. Medicare does make special provisions for those on a fixed low income. The State of Florida has a Florida Discount Drug Card created to help residents deal with the rising costs of prescription drugs. This card is for those who do not have prescription drug coverage or for those who have prescriptions not covered by their Medicare plan. You must be 60 years of age or older to qualify or under the age of 60 and meet income eligibility requirements. For those under the age of 60, monthly income must be under $2,553 for an individual, under $3,423 for a family of 2 and under $5,163 for a family of four. Once approved, you only pay $1.50 to activate your card and then you will save anywhere from 5% to 42% on the top 10 most commonly prescribed medications. There are currently over 3,000 pharmacies statewide that accept the Florida Discount Drug Card. If you aren’t sure what type of prescription drug coverage is right for you, shop around. 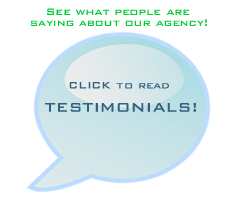 You have immediate access to a professional and independent agent at the number at the top of this page. Or, you can do start on your own by using the free Florida health insurance comparison tool on this page. The tool will compare quotes and rates from top companies so you can see what is available. There is no fee attached, so do it right now!